The former New Zealand fly-half has been part of the two time World Cup winning team and has won the World Rugby Player of The Year award three times. Carter, who now plays his rugby in France with Racing Metro 92, joins an impressive list of ambassadors that includes England’s 2003 World Cup winning star and fellow no.10 Jonny Wilkinson. In his capacity as a Global Ambassador, Carter will be working with the world famous automotive brand, on a number of projects, including supporting its position within rugby. His first involvement with Land Rover came as he sailed as the Sixth Man during the final day of racing at the America’s Cup World Series in Toulon, France where Land Rover BAR crossed the line sealing 3rd place - retaining their leading position in the overall Cup. Land Rover is Title and Exclusive Innovative Partner of the British America’s Cup team, Land Rover BAR. The automotive brand is working closely with the design team to co-engineer the most technologically-advanced boat in America’s Cup history, as they aim to bring the oldest sporting trophy home for the first time since it was created. Commenting on today’s announcement, Carter said: “Land Rover is one of the most recognisable brands in the world and involved in some amazing projects like Land Rover BAR. Getting to experience a live race with Sir Ben Ainslie and the team was something unlike anything I have been part of before and very special. 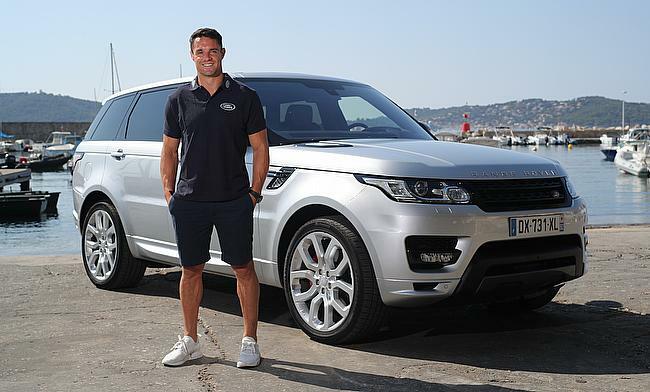 Mark Cameron, Jaguar Land Rover Experiential Marketing Director, said: “Dan Carter is one of the most successful rugby players of his generation, displaying the attributes and values that ring true with Land Rover; namely integrity, composure and capability. Added to this, Dan has been performing at the highest level in his sport for some time; having to adapt and innovate with the game, much like Land Rover. To have Dan represent the Land Rover brand is great news and will complement the already impressive list of ambassadors. Land Rover’s heritage in rugby has extended to two Rugby World Cup tournaments in 2011 and 2015 as Official Sponsor and a Worldwide Partner respectively, support of six British & Irish Lions Tours as well as elite and grassroots sponsorships in markets around the world including the UK, France, Italy, South Africa, Australia and Argentina.